This pretty Russian Chariote gemstone focal has precious sterling silver curls adorning the top of the stone. 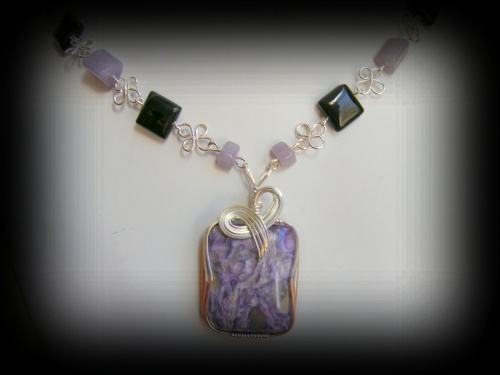 The necklace part, is made of purple jade stones and onyx stones and interlinked with handmade sterling silver clover like pieces. Piece measures 19" long.